Richard Niebuhr’s Christ and Culture is an attempt not at a thorough-going synthesis of the early twentieth century theological debates, but the establishment of a framework articulating the key hermeneutical question for Protestant theologians in his time. Nineteenth century Romanticism was no longer the dominant conversation partner with Enlightenment philosophy, and a distinctive Post-liberal approach was emerging. H.R. Niebuhr’s definition of culture as the ‘artificial secondary environment’ reveals a materialist preoccupation which Protestant theologians in the later half of the twentieth century were seeking to moderate with re-formed questions of subjectivity, experience and pluralism and was himself particularly influenced by Troeltsch. His five categories of Christ opposing; agreeing; synthesising; keeping in tension; and converting culture have been enormously influencial. However, they are limited by H.R. Niebuhr’s post-war context where there is no real competition for Christianity in the public domain. So, what does all that mean? It means that lots of late twentieth century protestant theology is captive to the debates and circumstances of it’s century . Liberal protestantism produced some great insights about the complexity of Revelation and led us through the challenging transition towards a pluralistic religious environment. But it’s birthplace was Modernism. It’s context is Late-Modernism. They now need almost as much translation as the Church Fathers, in order to draw out the relevance for our times. Two very different 21st century US theologians have done some updating work with H.R. Niebuhr’s christ and culture categories: Catherine Turner points out Christianity is a culture in and of itself and requires critique. Don Carson has written a book called Christ and Culture Revisited which I haven’t read. I got really excited reading Tillich for the first time and H.R. Niebuhr for the first time in 20 years. But after a while I realised it is the themes in this work that excites me more than their solutions. There is still something very ‘definitional’ about their work (if that makes any sense) and I am glad to have them stashed away in my library bag – but need to keep on reading to get authentic answers for my own context. 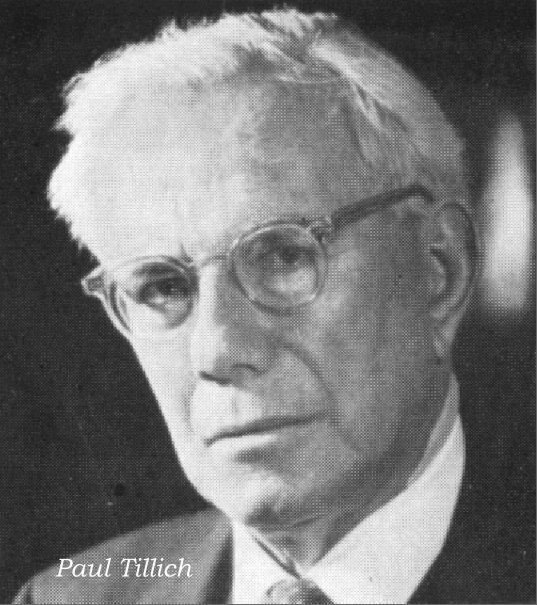 Paul Tillich is trying to make sense of a German Christian theology that had been so accommodating to the Nazi regime. He has the benefit of the Schleiermacher – Barth conversation of the early twentieth century and now his integrative task seeks to answer the trauma of Christian conflation with such a violent socio-political system. He proposes a ‘correlation’ between that which is theological anthropology and that which is divine revelation. His Systematic Theology volumes lay out a resolution to this problem with a surprisingly socratic method: culture poses the questions to which Christian Theology provides the answers. By asking and answering some basic existential questions, Tillich outlines an understanding of humanity’s essential nature, the problem of estrangement from our essence and the spiritual dimension where healing and actualisation of our essence is possible. The essential nature of human beings is a finite system of transactions which strives to keep in balance a number of polarities. The first of these is a need for individualisation on the one hand and participation in community on the other. Another is the dynamism to the process of existence which is kept in tension with solid and static form. A third is freedom verses destiny. When these polarities tip off the scale to lose it’s opposite truth, we experience existential distruption. Only God – that which is experienced as pure essence without finite existence – has the capacity to unite human beings with the essence out of which they have been birthed. Living life with a spiritual dimension working towards self-transcendence seeks to achieve a balance in these polarities. Tillich primarily deals with Scripture as Revelation, as befits his German Protestant context but the presentation of scriptural truths is not the endpoint of theology. The application of Scripture to the questions and dilemmas of faith lived in the real world requires theology to be a critique of culture and context.